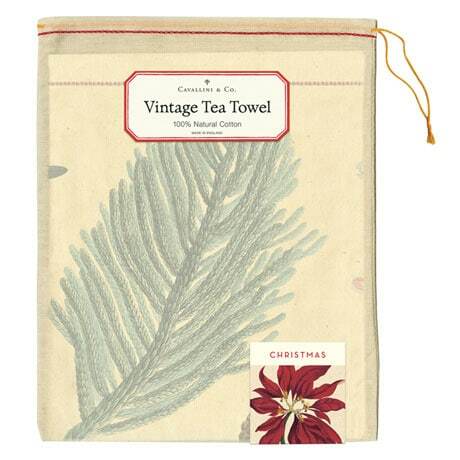 Our charming Vintage Christmas Botanicals Tea Towel is decorated with a poinsettia, pine cones, mistletoe, and other seasonal botanicals. 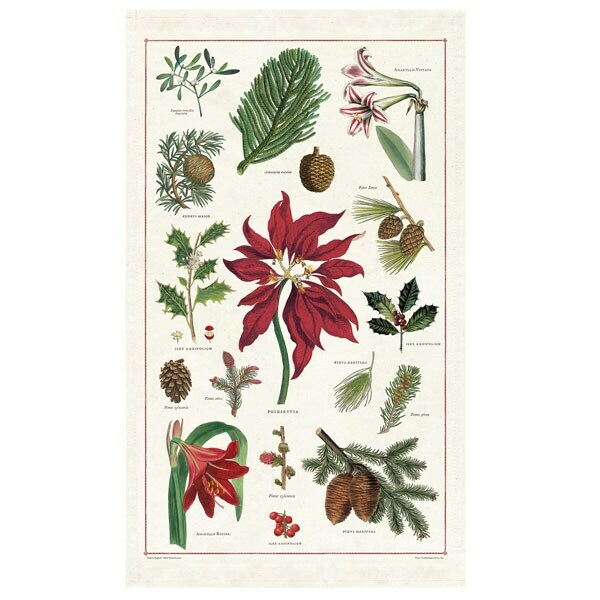 Featuring colorful scientific sketches, this oversize (18"x32") 100% natural cotton tea towel is the perfect holiday addition to any kitchen or bathroom. Comes packaged in a pretty drawstring bag.